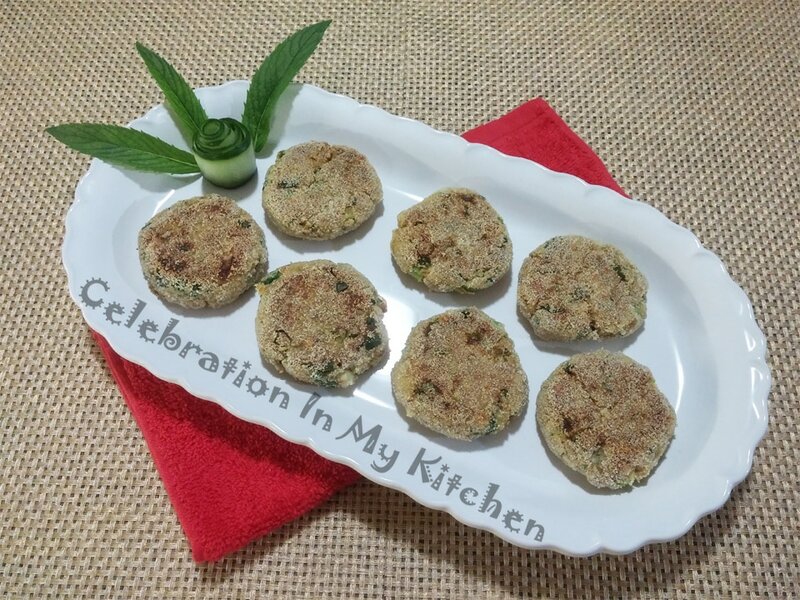 What makes these cutlets unique and flavourful is the addition of grated cheese. 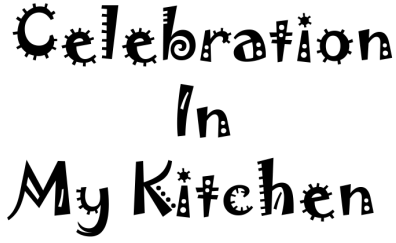 The innovative idea taken from a relative and prepared with cooked chicken or leftover rotisserie chicken. The mixture comes together with ease, can be made ahead and refrigerated. Also, for an attractive look, cutlets could be shaped using a mould. They can be served as an appetizer, side, sandwiched between two slices of bread or stuffed in a pita. Cooked shredded pieces of chicken are ground to a coarse texture in a food processor. Fresh ingredients, spices and cheese are included with the binding agents; egg and breadcrumbs. Lemon juice added for a hint of sourness to balance the overall taste. 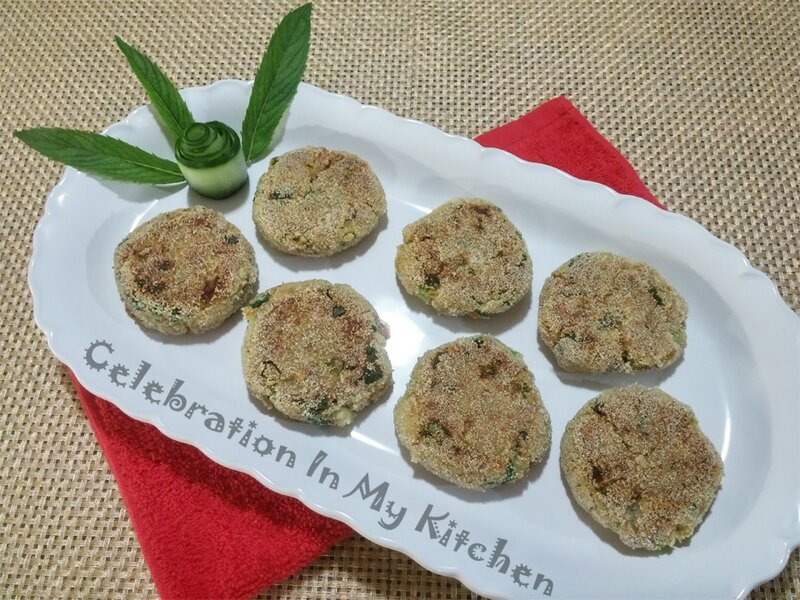 The mixture shaped into small round cakes, coated with semolina and pan-fried. These cutlets are mouthwateringly delicious, quick and easy. Perfect for any occasion, family picnic or party. Transfer ground chicken into a bowl and mix in rest of the ingredients except for semolina and oil. Place semolina in a flat dish and heat a non-stick skillet drizzled with some oil. Make small round balls of the chicken mixture, flatten and coat with semolina. 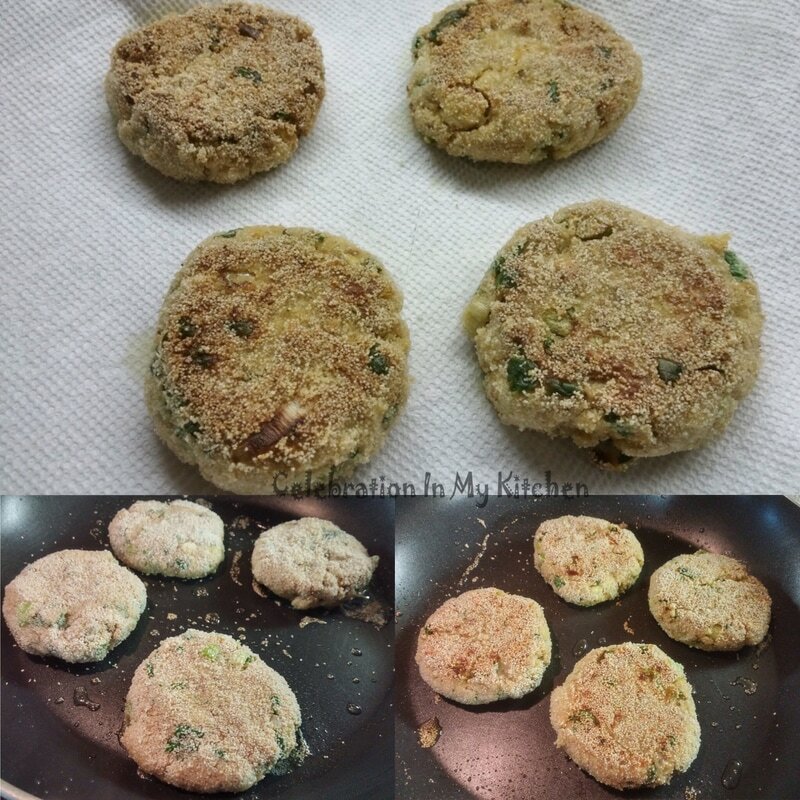 Shallow fry cutlets until light brown on both sides and heated through. Drain on absorbent paper towels. Serve cutlets hot as an appetizer or side with the main meal.